October | 2015 | Go Chapel Hill! How To Get the NC State Fair 2015! 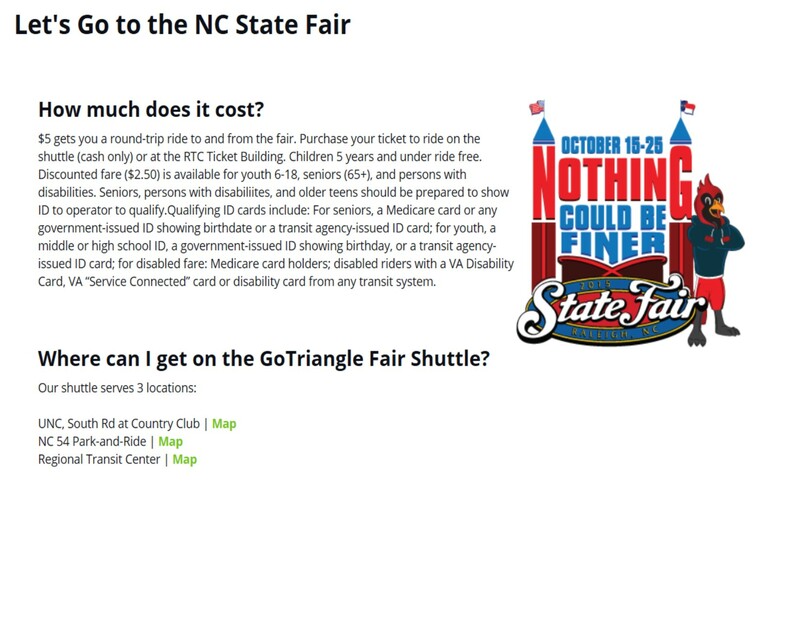 Make sure to check out the Go Smart Website for information on how to arrive at the NC State Fair that begins OCTOBER 15, 2015!! !